Please note that, with the Trump Administration removing Iraq from its list of banned nations, historically speaking, out of the seven original nations on the travel ban list, the nation that supplied the second highest number of convicted terrorists since 9/11 is now back to business as usual. 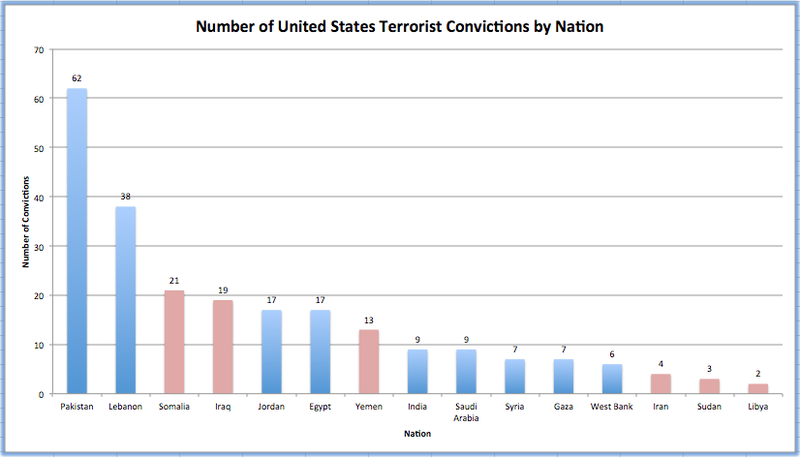 It is also interesting to note that, after Pakistan, Lebanon and Somalia, Iraq supplied the most convicted terrorists to American soil. A recent study by the Center for Immigration Studies supplied us with the terrorist conviction database which was compiled by the Senate Subcommittee on Immigration and National Interest, chaired by newly minted Attorney General Jeff Sessions. In this database, we find a complete listing of terrorism-related convictions in the United States since 9/11 along with their immigration status (where available), the terrorist organization that they were affiliated with as well as the offence that they were charged with and the sentence imposed. In total, between September 11th, 2001 and December 31st, 2014, there were 580 people convicted of terrorism-related charges in the United States. Of those, 380 are foreign-born and 200 are American citizens (either natural-born or naturalized). In total, there have been 69 terrorists convicted from the seven nations on the Trump ban list compared to 165 from eight other nations that have been given a pass by the current administration. 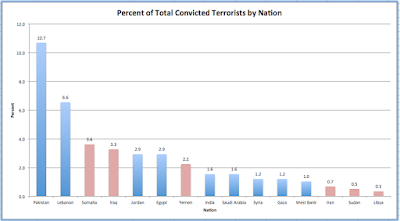 If you look at the data, you'll notice that Pakistan, alone, is responsible for 26.4 percent of the convicted terrorists in the 15 nation list. 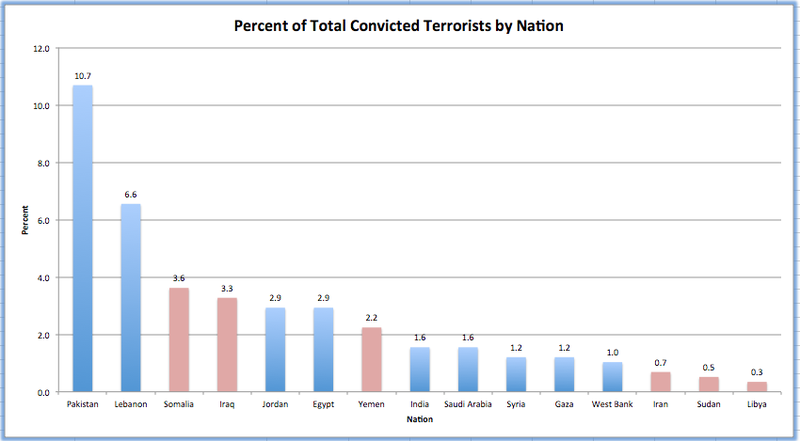 Apparently, as the government's own data clearly shows us, terrorists from some nations are more acceptable/less terrorizing than terrorists from other nations who are considered "America's friends". Let's close this with one more statistic. Of the 580 terrorists convicted in the United States over the period between September 11th, 2001 and December 31st, 2014, 73 or 12.5 percent of the total were natural-born Americans. Apparently, terrorists are bred in the homeland as well. Yes... the list is just as useless and ridiculous under Trump as it was under Obama. Thanks for pointing this out. Defending Yourself Against the "Trump Tug"
How Much Could the Trump Wall Cost? Who is the Real Mike Pence on Trade? Interfering in Ukraine - A Breach of U.S. Law?